NESS staff and AmeriCorps members came together on Martin Luther King, Jr. Day 2019 to honor Dr. Martin Luther King Jr. NESS joined thousands of volunteers across the country on this national day of service by serving the New London community. Dr. Martin Luther King, Jr. made it his mission to make America a place of equality and opportunity for all. He understood the power of service and challenged individuals to act. “Everybody can be great, because everybody can serve,” said Dr. King. NESS takes his message to heart each year by making MLK Day a day ON, not a day off! 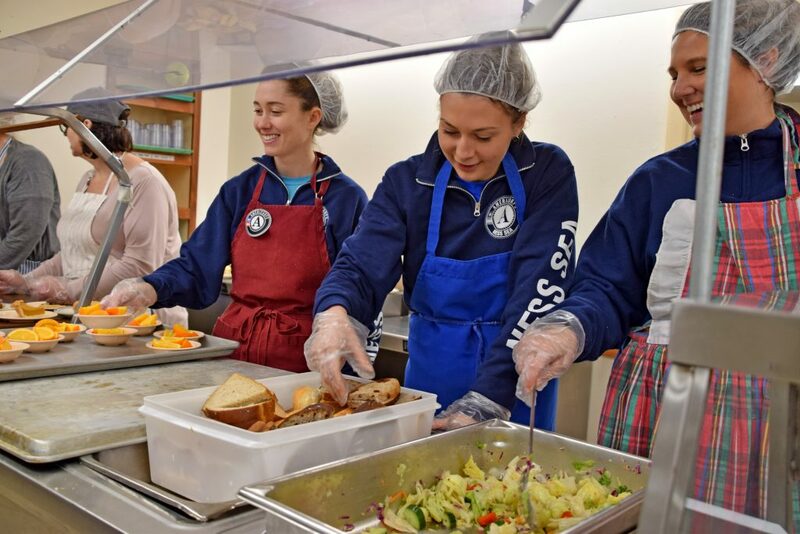 This year, our NESS SEA AmeriCorps members volunteered their time in the morning at the following locations: Beechwood Rehabilitation Facility, New London Community Meal Center, and the Drop- In Learning Center. At Beechwood, the members spent the morning making valentines for veterans and for residents of The Arc of New London County. It was a great chance for the residents and our members to get to know one another and make some awesome cards. At the New London Community Meal Center, our volunteers helped prepare and serve the lunchtime meal, and wash dishes. The Center was pretty packed by noon! The members helped serve salad, soup, macaroni and cheese, fruit, and a beans and sausage dish. The Center has been serving meals to anyone who needs one for over thirty years! At the Drop-In Learning Center (DILC), New London staff and members helped organize and clean out the space, going through musical instruments, games, craft supplies, and more. The Drop-In Learning Center provides a place for New London children to go before and after school, as well as in the summer and on school vacations. Our members regularly provide programming for the DILC students! 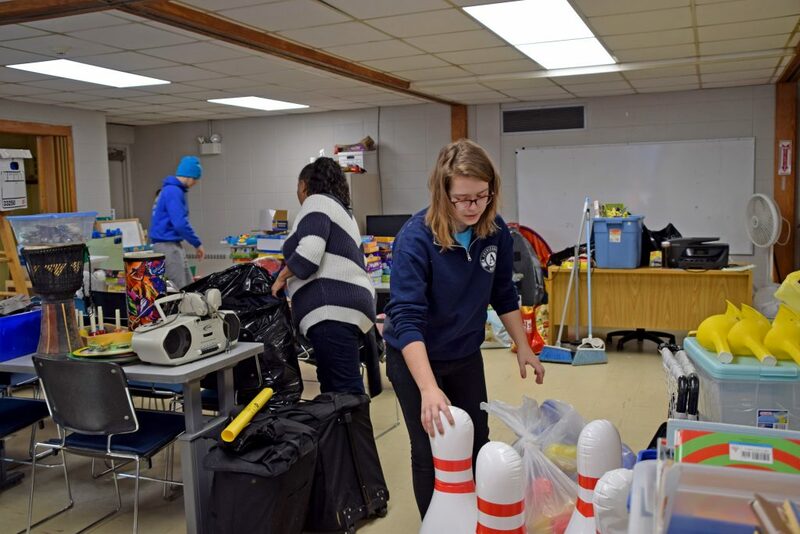 In the afternoon, the AmeriCorps team hosted an MLK Jr. Day Afternoon of Giving at New London Elk Lodge. 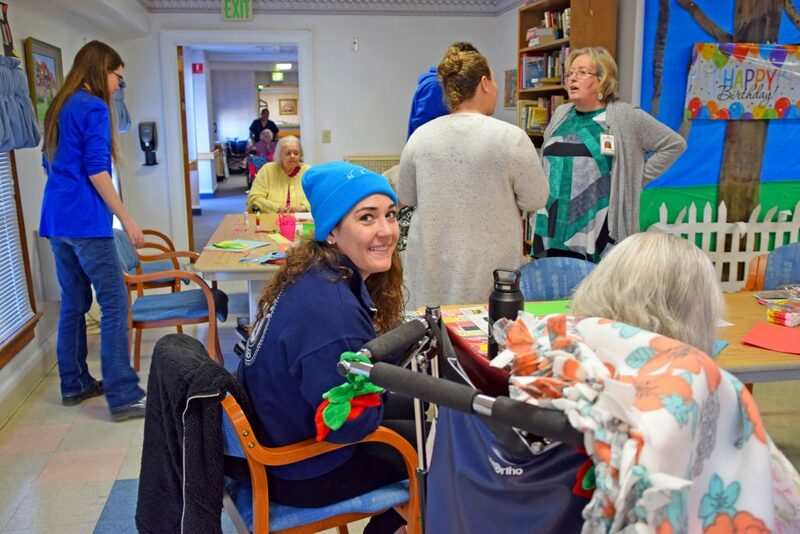 NESS staff and AmeriCorps members gave back to the local community by making cards to donate to the veterans’ hospital in Newington, Connecticut and The Arc of New London County. 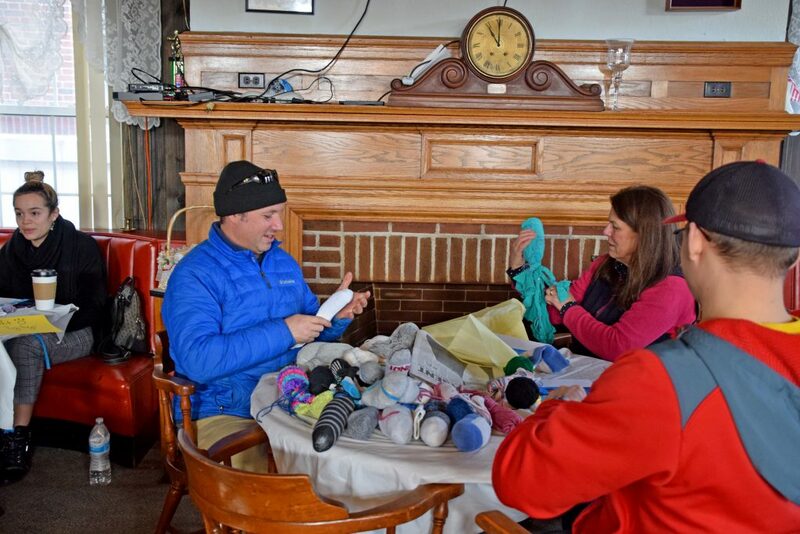 At the event, the AmeriCorps team gathered donations for the Homeless Hospitality Center in New London, such as toiletries, socks, and other personal hygiene products. We also made pet treats and toys to donate to the Connecticut Humane Society. We were even joined by members of the New London community who stopped by to donate their time, including Congressman Joe Courtney! Thank you so much to our NESS SEA AmeriCorps members who worked hard to organize the day and for all who came out to donate their time.